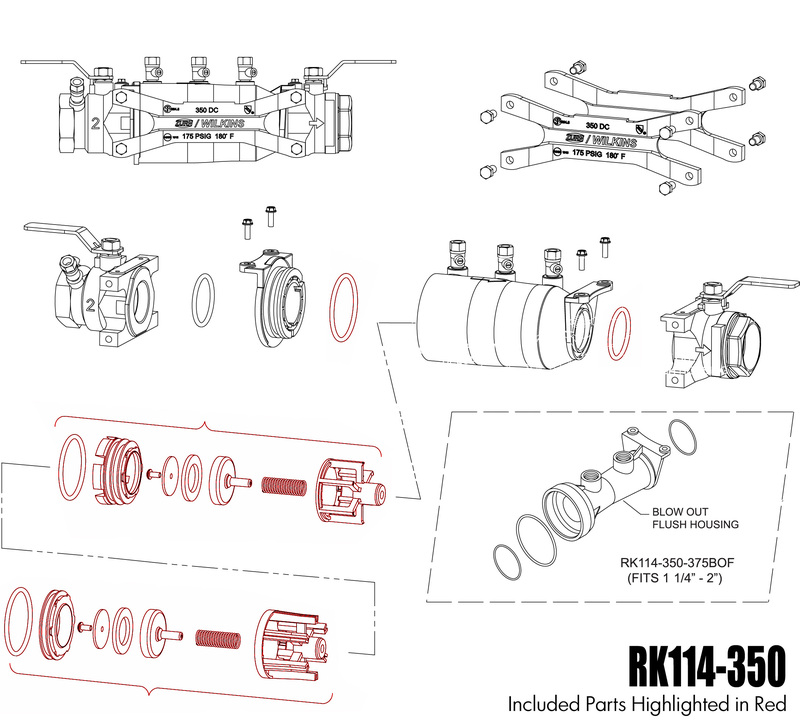 This is a complete repair kit for the 1 1/4 - 2" Wilkins 350 series double check assemblies. 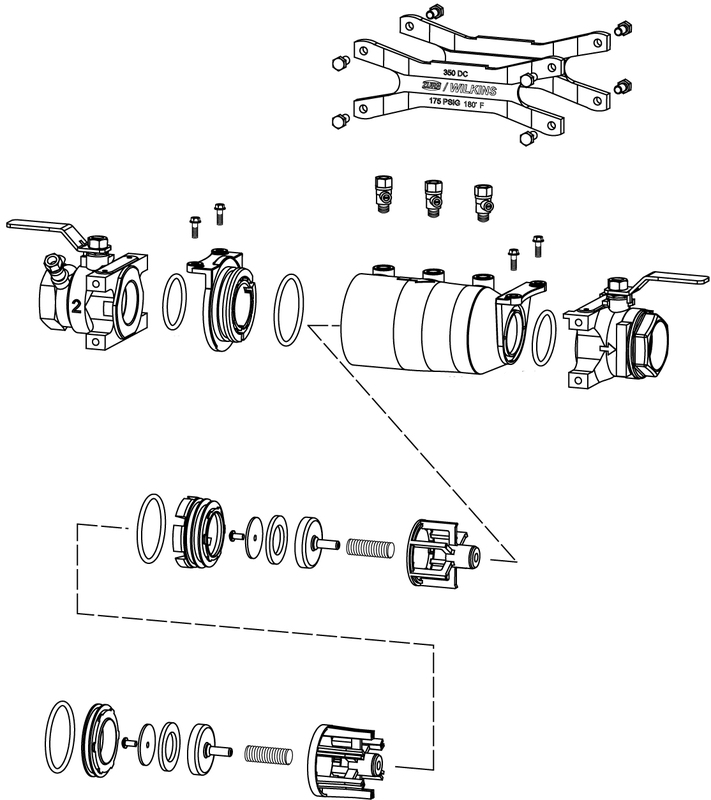 This kit contains all internal parts. Genuine Zurn/Wilkins repair parts. No special tools are required for servicing.